Andersen, Hans Christian; Erik Christian Haugaard (transl.) (1983) . The Complete Fairy Tales and Stories. প্ৰকাশক New York, NY: Anchor Books. ISBN 0-385-18951-6. Andersen, Hans Christian (2000) . The Fairy Tale of My Life. প্ৰকাশক New York, NY: Cooper Square Press. ISBN 0-8154-1105-7. Classe, O. (ed.) (2000). Encyclopedia of Literary Translation into English; v.2. প্ৰকাশক Chicago, IL: Fitzroy Dearborn Publishers. ISBN 1-884964-36-2. Frank, Diane Crone; Jeffrey Frank (2005). 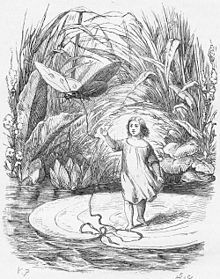 The Stories of Hans Christian Andersen. প্ৰকাশক Durham, NC and London, UK: Duke University Press. ISBN 0-8223-3693-6. Loesser, Susan (2000) . A Most Remarkable Fella: Frank Loesser and the Guys and Dolls in his Life: A Portrait by his Daughter. প্ৰকাশক New York, NY: Hal Leonard Corporation. ISBN 0-634-00927-3. Opie, Iona; Peter Opie (1974). The Classic Fairy Tales. প্ৰকাশক Oxford, UK: Oxford University Press. ISBN 0-19-211559-6. Sale, Roger (1978). Fairy Tales and After: From Snow White to E.B. White. Harvard University Press. ISBN 0-674-29157-3. Siegel, Elaine V. (ed.) (1992). Psychoanalytic Perspectives on Women. প্ৰকাশক New York, NY: Brunner/Mazel, Inc.. ISBN 0-87630-655-5. Wullschlager, Jackie (2002). 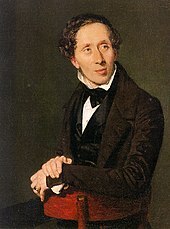 Hans Christian Andersen: The Life of a Storyteller. প্ৰকাশক Chicago, IL: The University of Chicago Press. ISBN 0-226-91747-9.